Our mission is to build research teams that bridge the boundaries between specialties, innovate in health care technology, and train current and future clinicians and researchers from around the world in transnational practices and advanced technology. Our vision is to improve global health by streamlining the movement of discoveries into the clinic with pragmatic and inventive development practices. Averaging over 100 employees onsite for well over a year helped Marek meet the at times challenging schedule. There were several months where the Marek trades were working on each level ranging from Basement to Level 8. 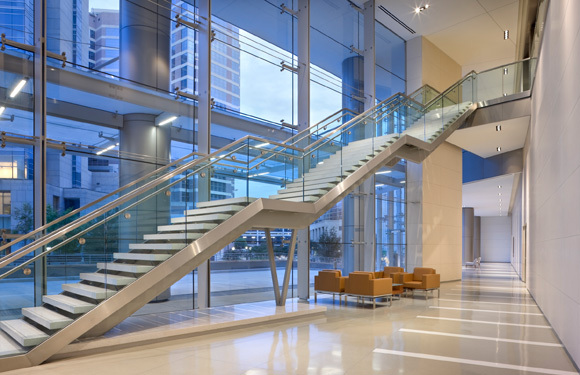 This project demanded one Senior Project Manager, six Project Managers, seven dedicated Foremen, several Lead Men, an onsite safety director as well as hundreds of carpenters, painters, finishers, and laborers. 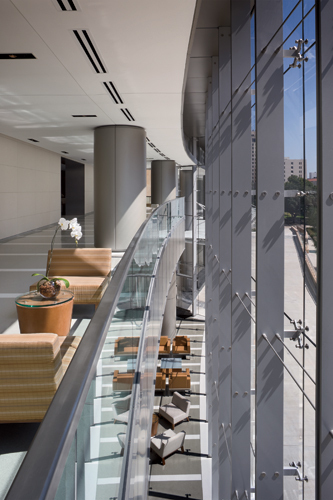 The building includes stone that is supported by engineered heavy gauge metal framing, and exterior engineered heavy gauge metal framed walls. 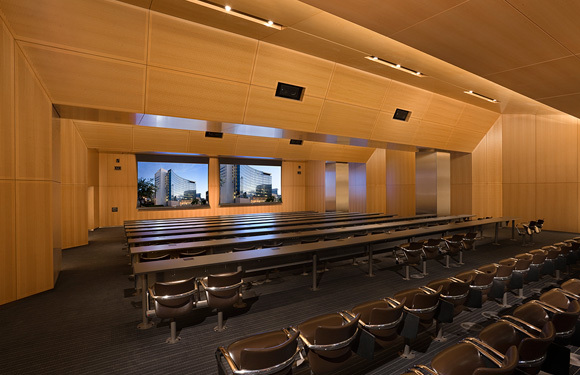 The Institute also includes over 100,000 linear feet of coordinated backing and blocking for wall and ceiling mounted items. 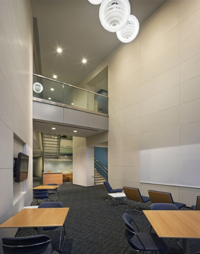 Marek hired Clark Western engineering to design this walkable platform and ceiling, then it was put into the BIM model with the help of Gowan, Inc. for clash detection. The ceiling is completely supported from columns and the deck above making almost 60,000 sf of non load bearing partitions. This in itself was the most challenging portion of the project for Marek, and it turned out as functional as designed. Aside from the interstitial floors, the building has many interesting designs incorporated throughout. 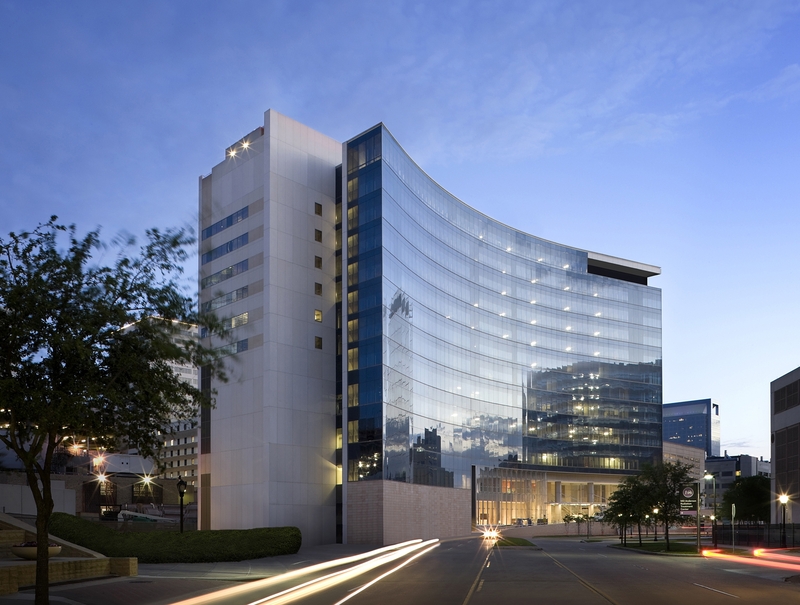 Several walls and ceilings follow the radius of the large curtain wall, of white, 4'x4' ceilings required custom drawings that included over 30 different individual size and shapes. 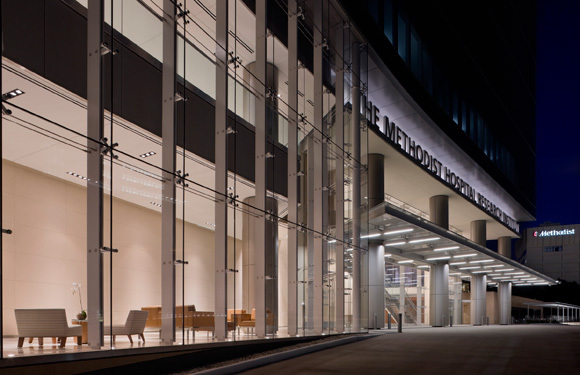 Marek's scope of work included metal framing, backing/blocking, drywall, finishing, paint, acoustical ceilings, fabric panels, flooring, doors and hardware, and mechoshades. 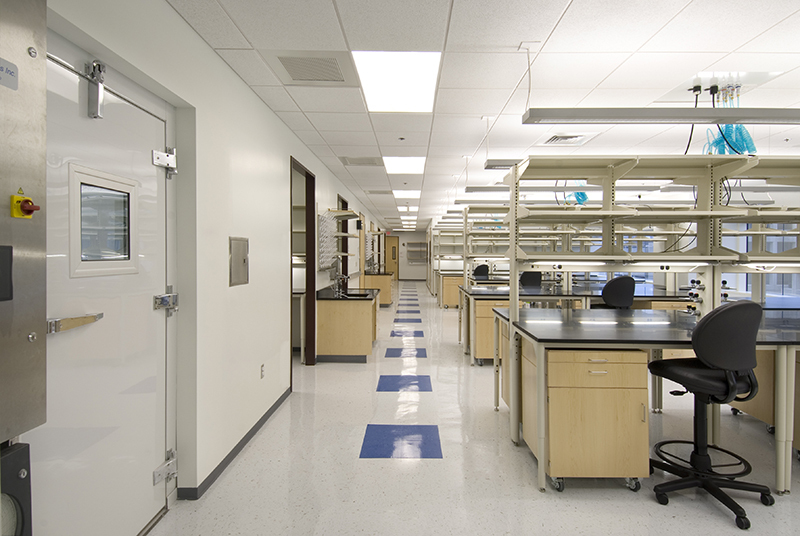 Several lab floors, executive areas, an auditorium, MRI and PET scans make up approximately 430,000 sf of space. Because Marek is a specialty contractor 100% of this work was self performed.